Students complete a sentence about themselves using words to start the sentence. 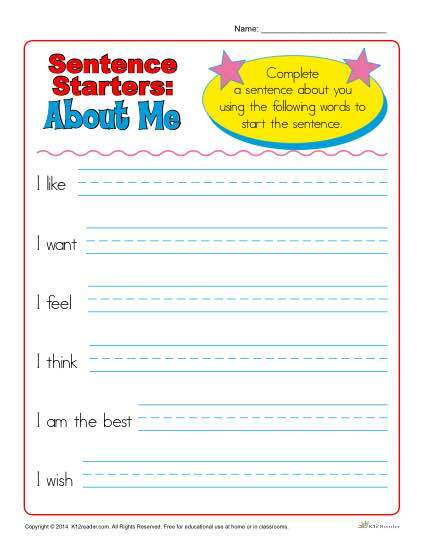 Sentence starters include “I want”, “I feel”, “I like”, “I think” and “I am the best”. Worksheets are designed for kindergarten and first grade, but can be used as appropriate.